Wow! These adorable bunny lollipops will totally look the part at your Easter themed baby shower. Hit the stores and purchase a selection of your favourite flavour lollipops and whip up a batch of these decorative and delightful bunny lollipops. These amazing bunny lollipops are quick and simple to make, perfect if you have any little helpers. 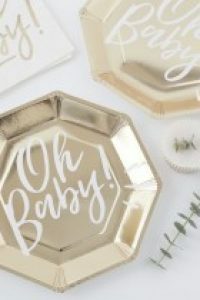 What a wonderful baby shower treat! Cut the white felt out to make ears, leaving a little bit at the end to stick onto the back of the ball. Cut out smaller pink felt pieces for the inside of the ears. Glue ears onto back of polystyrene balls. Draw rabbit face on polystyrene balls. Cut out felt feet to glue to base of lollipop so that the bunny can stand. ..And, thats all there is to it! Perfect for Easter and definitely adorable all year round – these quirky and super cute bunny lollipops will never fail to disappoint. 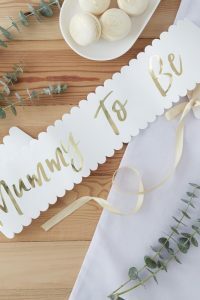 Arrange them on your table between the gender reveal cake and those scrumptious carrot cake slices to create the perfect Easter baby shower spread. Don’t for get to pop a few into those party favour bags! 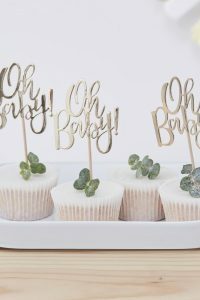 Your guests will adore these sweet baby shower treats.